LOUISVILLE, Ky. — Dasani Johnson, a sophomore at Southern High School, is using a machine to create a baseball bat out of a piece of foam. Standing over her, as she readies to start the machine, are her teacher and two classmates. A little frustrated by all the attention she’s getting, she waves them off, measures one last time before starting the machine. 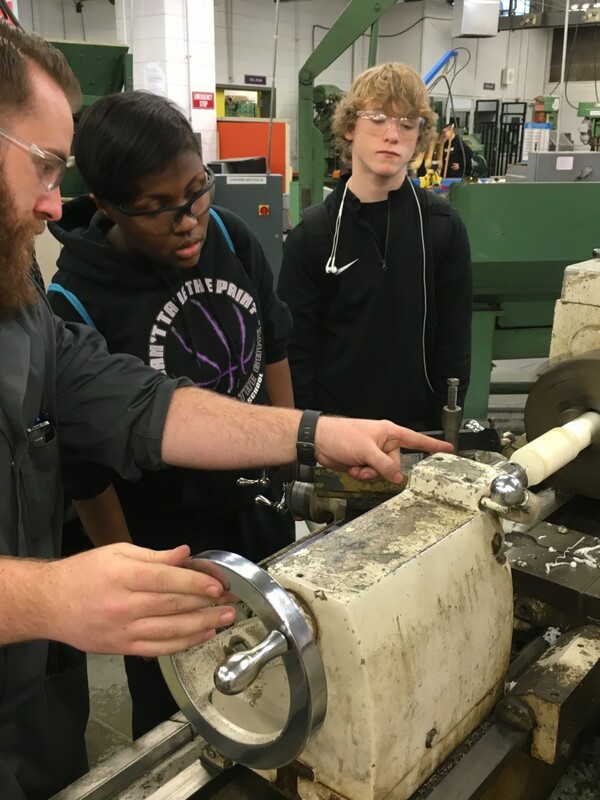 If Johnson stays in Southern’s machine tool program for the next two years, she could leave high school with an industry-recognized machinist operator credential, and a clear path to a job that starts at $15 an hour. While Southern has a long tradition of sending students straight into the workforce, many Kentucky schools have only recently entered the business of preparing students for “middle-skilled” jobs — positions that require more than a high school diploma, but less than a bachelor’s degree. Vocational tracks may be as old as public schools themselves, but what’s new in Kentucky is an accountability system that puts college and career on the same footing. Schools get a point for getting a student ready for college or a point for getting them career-ready. There’s an extra half bonus point for getting kids ready for both college and career. “College- and career-ready” is now one of those say-it-10-times-fast terms in education that lots of people throw around, but few pick apart. When the Obama administration made some federal funding contingent on the adoption of college- and career-ready standards, most states decided college and career readiness were one and the same. In Kentucky, however, education officials have decided they are in fact quite different and that being ready to start a career — as a machinist, for example — doesn’t necessarily require students to follow a path that takes them through college. Schools offering this direct-to-career path aren’t allowed to lower their standards: They must aim for the same sort of rigorous benchmarks created for the college track, even if the expectations are more focused on technical skills and the ability to find and parse informational texts and apply math in occupational situations. Kentucky is among just a handful of states that have created a designation for career-ready that is separate and distinct from college-ready. And it was the first state to put college and career on equal footing. Louisiana comes close — it now gives schools credit when students get industry credentials — but students must still pass a college-ready test. To be deemed college-ready in Kentucky, students must pass one of three college admission or placement tests. Career readiness, on the other hand, is divided into two parts. Students must show they’re ready academically and are also able to tackle the specific technical demands of their prospective careers. Students can show they’re ready academically by passing either the military Armed Services Vocational Aptitude Battery test or another ACT exam called WorkKeys — tests that emphasize deploying math and literacy skills to solve real world problems. Students must also either attain an industry-recognized credential or pass one of the state’s Kentucky Occupational Skill Standards Assessment exams — tests that were developed from standards drawn up by the state’s industry groups. 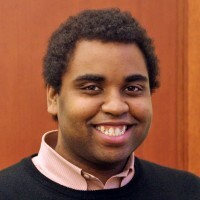 Related: Opinion: Are high schools preparing students to be college- and career-ready? Across Southern High School’s sprawling 300,000 square foot building in a working class section of Louisville, students are preparing for an array of different jobs. In addition to the machine tool program, the school has a student-staffed credit union and a full auto garage complete with 11 lifts and two paint booths. Principal Bryce Hibbard is currently looking to link the two programs through an arrangement in which auto shop students will fix donated cars which will then be sold to Southern’s seniors on a $1,000, 1 percent interest loan by students at the credit union. Hibbard is banking on Southern’s career programs to get the school — long labeled one of Kentucky’s worst — off the list of the state’s 27 lowest performing schools this year. The numbers are moving in the right direction: The proportion of Southern students the state says are ready for life after high school has risen from 13 percent to 57 percent in the five years since Kentucky has moved to a system that considers college as well as career readiness. Of the 270 students who graduated last spring, 117 were college-ready, 45 were ready for careers and 68 left ready for both. Hibbard, a former state champion basketball coach, uses a large whiteboard hanging in his office to keep track of the progress of his seniors. By early February 2016, 75 seniors had passed either their college-ready or career-ready tests. He predicted the number of students who are career-ready would eclipse the number who are college-ready this year. But it’s more than just a numbers game to Hibbard. Struggling schools aren’t the only ones thrilled by the state’s elevation of career readiness. Educators in rural Breckenridge County, about an hour and a half southwest of Louisville, have long embraced getting students ready for middle skilled jobs right out of high school. 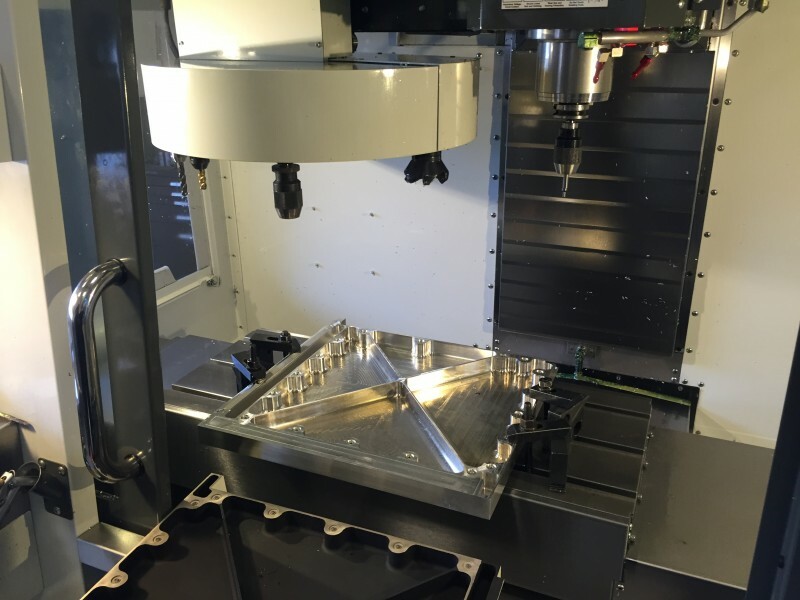 Breckenridge’s Area Technology Center — one of 53 centers across the state where students from nearby high schools are sent for career training — has been training students for machine tool jobs since the 1970s, and in the process has transformed the county from a sleepy farming community to a manufacturing hub. Kenny Whitworth is the owner of the shop employing nearly 200 people. In his 43,400-square- foot, family-run factory, a photo of his son Tim Whitworth, the plant manager, with his University of Kentucky basketball team, greets visitors at the door. From Hardinsburg, population 2,300, Whitworth Tool competes globally for contracts in industries like defense, aerospace and pharmaceuticals. Whitworth says his firm is able to beat those companies by providing consistently high quality products to clients with niche needs. 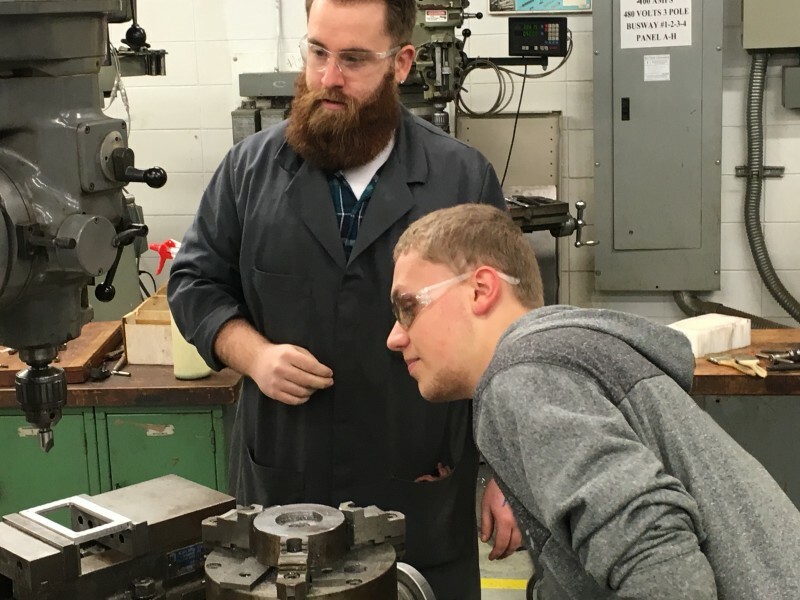 Whitworth, who was the Breckenridge center’s second machine tool instructor, has been investing in the school to build that knowledge base by donating equipment and hiring many Breckenridge seniors through a pre-apprenticeship program. One of those students is Bryan Flood. 57% — The percent of students at Southern High School in Jefferson County, Kentucky now deemed “ready for life,” up from 13% five years ago. Luke Williams, a senior who commutes from Breckinridge County to Louisville to work at Atlas Machine & Supply, says that while the equipment is newer at his job, the school did a good job teaching him the basic principles. Dean Monarch, who has been teaching at the center since 2000, says that Breckenridge serves students like Flood and Williams particularly well because the community has long valued career education as much as a college degree, though he says that hasn’t always been the case. Laura Arnold, a former school principal who is now head of Kentucky’s career and technical education program, says that differentiating career readiness — and emphasizing that it’s just as important as college readiness — will help the state reach students who might otherwise fall through the cracks. “If you make it rigorous and get rid of the stigma, it’s going to have a diverse population, in terms of race, gender and family education levels,” she said. A recent study by the Fordham Institute, a conservative think tank, found that career education students — especially poor children and particularly boys — were more likely to graduate from high school, enroll in college and earn higher wages than their peers who didn’t take career courses. Kate Blosveren Kreamer — deputy executive director of Advance CTE, a national nonprofit that represents state officials responsible for career and technical education — says the key to ensuring that more students enjoy these benefits is to use accountability systems to shut down less rigorous career programs that don’t lead to student success. In communities that lack schools with a track record like Breckenridge’s area technology center, the accountability system is only half the battle. For families and educators to value career pathways, they must first see that the programs are actually setting students up for successful lives. That’s why the state department is working with districts to build programs that are not only rigorous, but that will also lead to jobs. Stephen Pruitt, Kentucky’s commissioner of education, says there’s still work to do in bridging the perception gap between the college and career sides of the curriculum. One school district, Hardin County, is attempting that balance by designing career education courses specifically geared to kids headed to four-year colleges. After a disappointing start for the district’s pharmacy tech program, Dan Robbins — the center’s principal — decided to recruit some of the district’s top students. Kentucky officials created the bonus half point for students who reach both career and college readiness standards for this very reason: to encourage schools to make career education available to more — even all — students, not just those who, in the past, may have been considered unable to tackle the rigor of the college-prep program. Kentucky’s approach has created a lot of buzz in the education community. At a recent meeting of state education superintendents, interest in replicating the system was high. Steve Canavero, superintendent of public instruction at the Nevada Department of Education, said the recent recession is his state has made career education an imperative. The end of “no excuses” education reform?